My brother and I spent a nice spring day down the Jersey Shore. I steered us first to Asbury Park, a place where I enjoyed the beach and boardwalk as a child then later followed its music scene. My last visit there was several years ago when I was shocked to see the overall decay of this once thriving resort town. This time, we saw some encouraging signs of Asbury’s recovery as well as remnants of the recent set back from Superstorm Sandy. 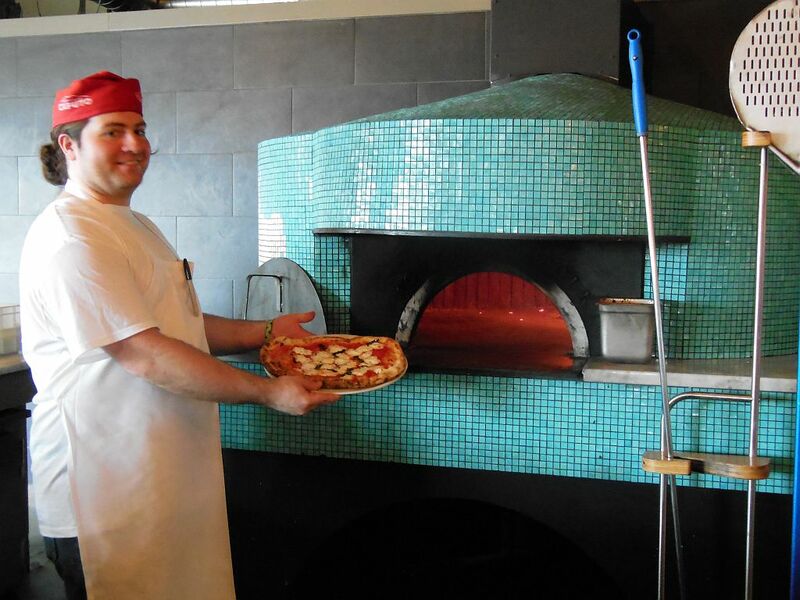 My web search for the best pizza in Asbury turned up the relatively new Porta Pizzeria. We found Porta housed in an old free-standing wooden building on Kingsley Street, just two blocks off the beach. 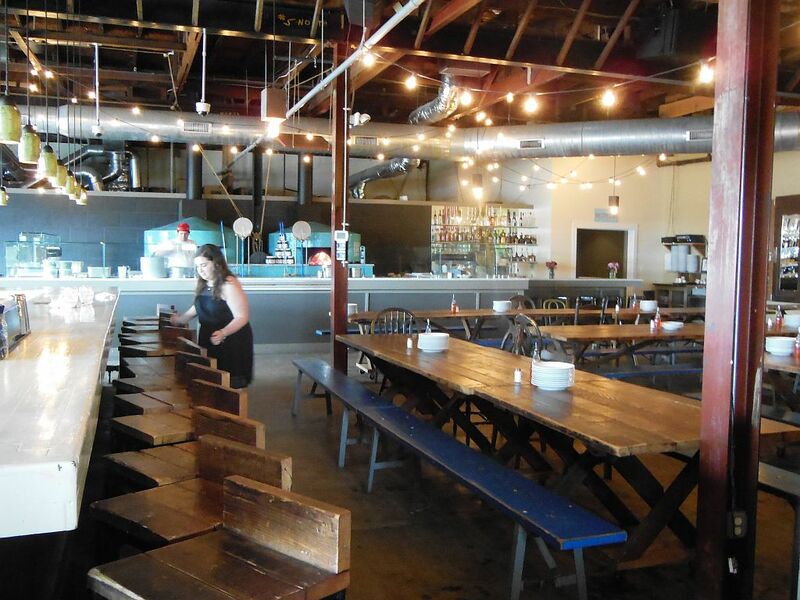 It has a large open-air indoor bar and seating area in addition to an adjacent outdoor patio. Turns out, this building is on hallowed ground as far as the city’s legendary music past goes. In the early 70s this building was The Student Prince–a regular venue for the Bruce Springsteen Band. In fact, this was the place where in 1972 Springsteen first met Clarence Clemons, his late great saxophone player. Given that this is the Jersey Shore, it was surprising to me that Porta cooks its pies in a brick-oven. It is not a traditional NY-style place. (In fact, our stroll along the sparsely-occupied Boardwalk would find no other pizza joints.) Their lunch menu featured a variety of specialty pies along with some salads, appetizers, and sandwiches expanding at dinner to include some pasta dishes. We took seats at the bar with a good view of the wood-burning brick-oven which they had brick-stamped “2011.” I asked the barkeep which pie to get if I was just a “cheese and sauce” guy, and he suggested the Margherita. Since it was just snack time for us, we ordered the $12 one from the lunch menu, and it turned out to be just enough–three small slices for each of us. 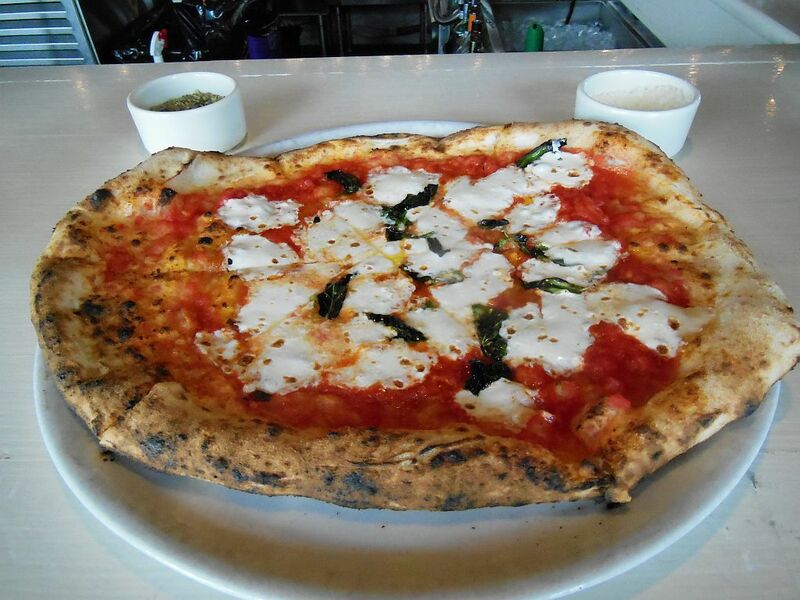 After a few bites I realized that our pie was just about as delicious as a brick-oven, Margherita pie could taste. It looked like something right out of Brooklyn with just the right amount of sauce and cheese. Its flavor was tastefully boosted by some fresh basil. To my dismay, however, the slices were quite floppy. Despite not being crunchy, the crust was tasty and chewy. All in all, it was a satisfying pie. 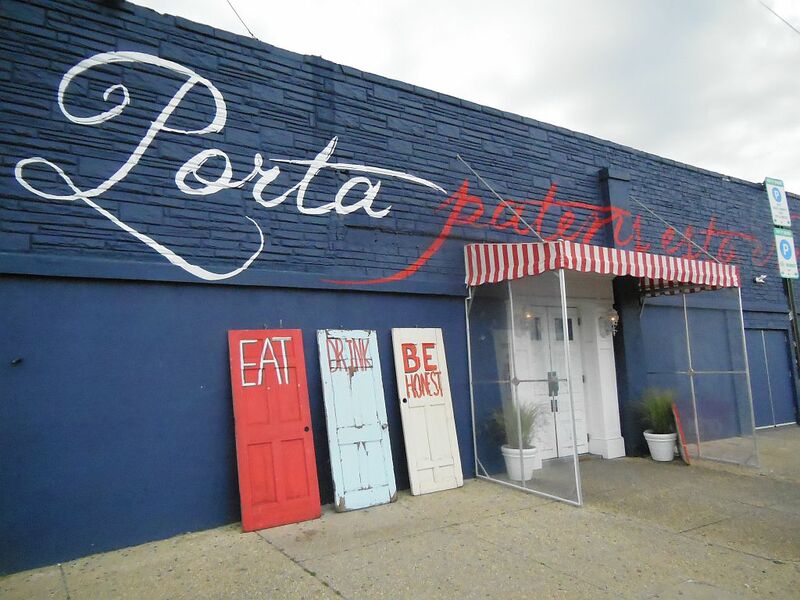 Porta Pizzeria looks like a great place to have fun and enjoy some great food while at the shore. I would not hesitate to go back for a quick bar pie. Hopefully, Porta will continue to tag along with the rebirth of the once great resort town of Asbury Park. $12 for a small pie? That’s what most places charge for a large!